Eric: In an effort to continue weaning myself off my IPA addiction, I’ve been tasting more and more of Andrew’s precious gross sour beers. But they are actually pretty good! I even drank a whole glass all by myself, like a big boy! This happened on July 4th, at Torst, which is an amazing beer bar, but intimidating even for a seasoned BrewBoyz like me. No descriptions, and a lot of stuff from overseas, means a lot of looking stuff up on beeradvocate.com before choosing. I got a sour beer from Belgium, but with the crazy name combined with my limited memory (thanks meth addiciton), I have no idea what it was. But, I did enjoy it, and felt very proud of myself. Andrew: I had the Bruery’s Hottenroth Berliner Weiss at Torst (above). It was a delicious sour beer and I’m glad that this style is catching on among more U.S. brewers. I also had Hoppin’ Frog B.O.R.I.S. Torst is an amazing bar for a beer nerd because they have a state-of-the-art tap system that allows the bar to adjust the temperatures for styles—called a Glycol system. The nitrogen and carbon dioxide levels are also adjustable, which allows them to vary the mouth feel depending on the style. The B.O.R.I.S. was like drinking a cup of velvet. So good. 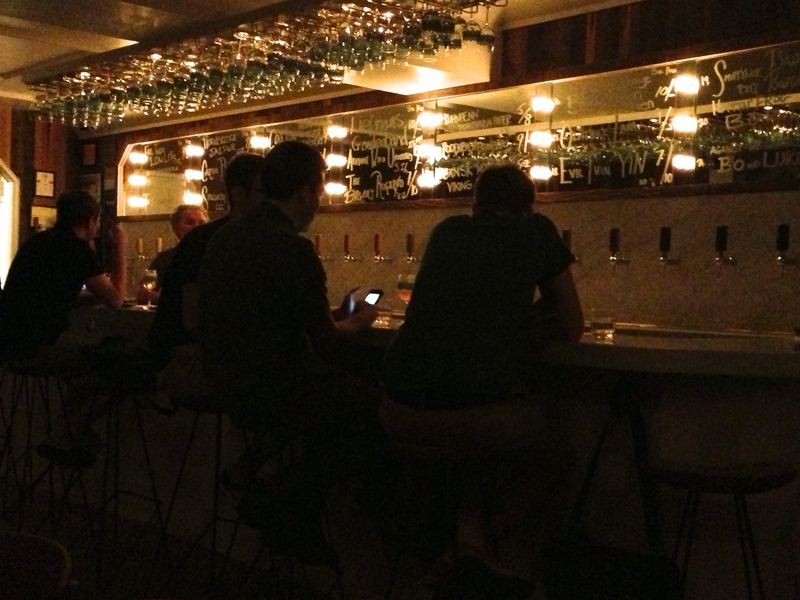 If you’re a beer nerd (i.e., BBz) and you either live in NYC or are visiting, you need to check out Torst. 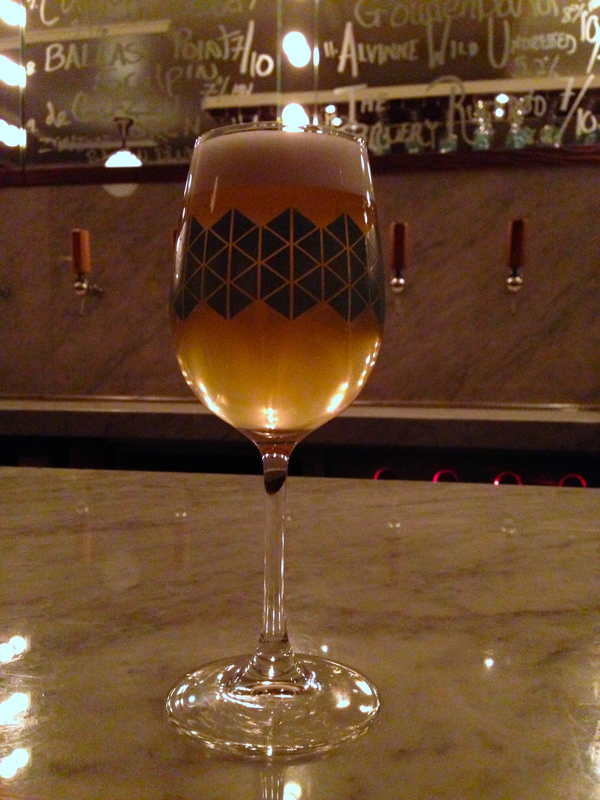 Also: Saison D’Erpe-Mere from Glazen Toren is the beer that Eric had. I tried it and it was friggin’ amazing. Good choice, BBz! 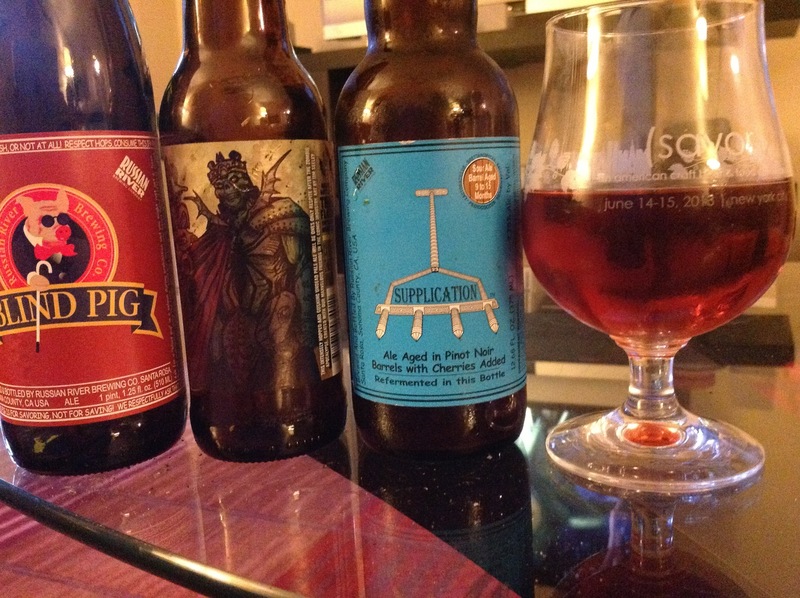 Eric: The next night, the Brewboyz had another epic, although mini, beer lineup consisting of Blind Pig, Zombie Dust (yes that is a 100 rating), and Supplication (yes that is another 100 rating). I know what you’re thinking… how lame of us to have the Blind Pig, it only got a 97 rating! The Supplication was VERY sour to me. I enjoyed it in small doses (I had maybe 1/3 of the bottle), but I don’t think I could get through a whole one. Each sip is a crazy mouth-gasm, and it gets exhausting. But I will persevere, and continue to try new and scary things. Because that’s what a good-looking, extremely in-shape BrewBoyz like me does.